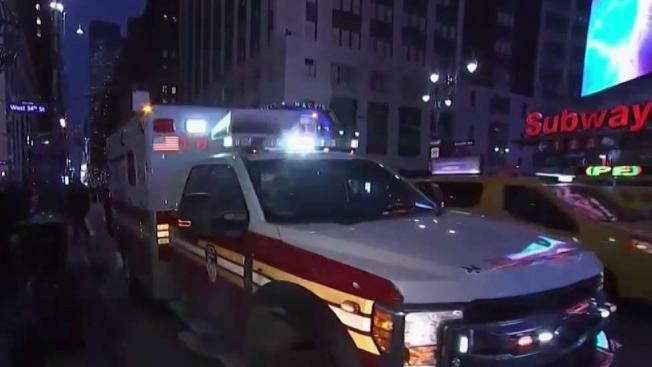 A 1-year-old boy in a stroller wound up riding alone on a New York subway train from the Upper West Side all the way down to Penn Station after his caretaker suffered a medical episode and the baby was left on the train, police said. The boy and his caretaker -- a friend of the family -- were taking the subway when the caretaker suffered some sort of medical episode and somehow became separated from the child at 96th Street. The train continued on with the baby on board, all alone. The child was recovered unharmed at Penn Station, and ultimately reunited with his mother, police said. The caretaker was questioned by police and released without any charges. Due to medical privacy laws, police couldn't detail the medical condition that led to the man's episode. Police initially had several conflicting initial reports of the incident, including that the caretaker was the child's father who'd gotten intoxicated. They've since clarified the caretaker was a friend of the family who'd suffered a medical condition and was released without charges. Subway riders said they couldn't imagine what the mother went through while the baby was missing. "She was probably freaking out," said Brittany Gilzene. "I would freak out in that predicament: 'Where's my kid, what happened?' Anyone comes on the train and you don't know what their intentions are." "Thank God they were able to locate the child and nothing happened to him," another straphanger said.